If you use AutoCAD a fair amount like I do, and have been doing so for many years, then I’m sure that you can identify with getting a bit excited when you stumble across a command or tool that does something great. That’s what happened to me last week. So last week I was working on a floor plan drawing, and noticed that if I hovered my mouse cursor over a specific part of the drawing, and then used my mouse wheel to zoom in, that the zoom would be focused on the specific point I was hovered over. Previous to this, I didn’t give much thought to how the mouse wheel zoom in worked. Perhaps I just assumed that the zoom would focus about the center of my screen. Needless to say, when I realized this, I was like, “Oh wow, this is SO helpful!” In light on my “Ah-ha!” moment, I thought I’d share. 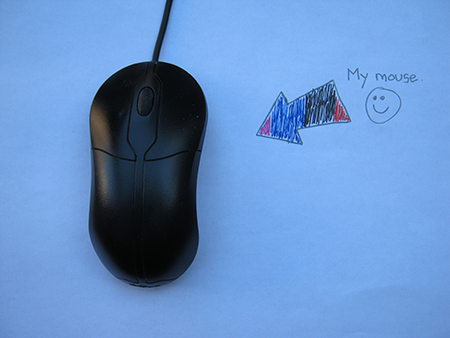 I liked your comment about the mouse wheel. I have no one like that, because mine is digital, but you’re right is very useful. Also their website has lots of information that is interesting to know.